SAN JOSE, Calif. — Sept. 23, 2009 —Adobe Systems Incorporated (Nasdaq:ADBE) today announced Adobe®Photoshop®Elements 8 software available for Windows® and Mac, providing automated and intelligent photo-editing technology across both platforms. With the newest version of the No. 1 selling consumer photo-editing software,* Adobe continues to make cutting-edge innovation accessible to users who want powerful yet easy-to-use tools to tell compelling stories with their photos. Adobe Photoshop Elements 8 (Windows) is available now at www.adobe.com, and Adobe Photoshop Elements 8 for Mac will be available in Oct. 2009. Both products will be available soon at retail outlets such as Amazon.com, Apple (Mac only), Costco.com (Windows only), Best Buy, Office Depot and Office Max. 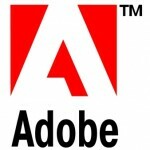 Information about other language versions, as well as pricing, upgrade and support policies for other countries is available at www.adobe.com/go/photoshopelements. For free training videos on Photoshop Elements, visit Adobe TV at http://tv.adobe.com. © 2009 Adobe Systems Incorporated. All rights reserved. Adobe, the Adobe logo, Photoshop and Photomerge are either registered trademarks or trademarks of Adobe Systems Incorporated in the United States and/or other countries. Windows is either a registered trademark or trademark of Microsoft Corporation in the United States and/or other countries. Mac and iPhoto are trademarks of Apple, Inc., registered in the United States and other countries. All other trademarks are the property of their respective owners.